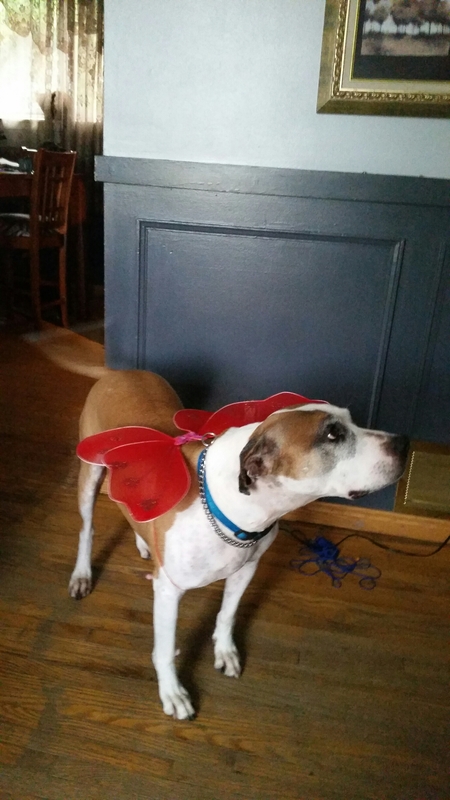 Brutus in his fairy costume for Halloween . Brutus looks adorable. Hope you had a Happy Halloween!